Summary : It's all business on the outside. 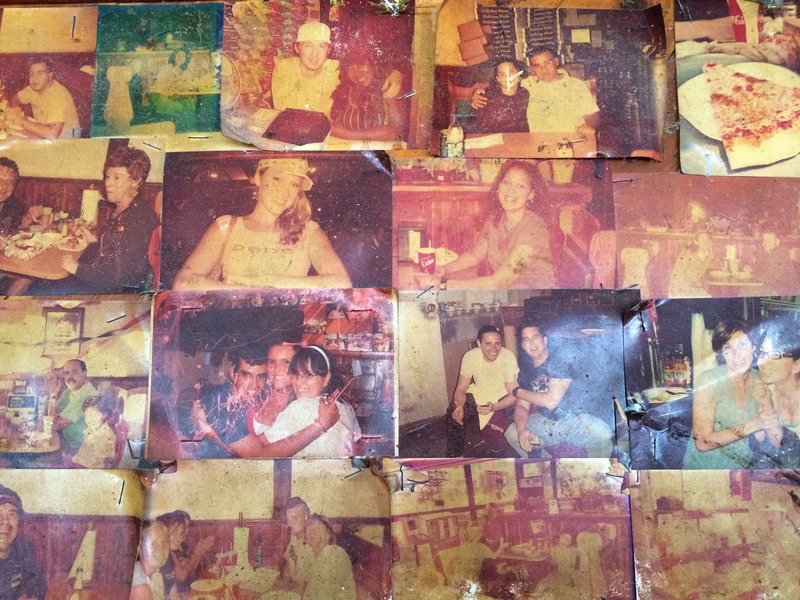 But step inside this Miami pizzeria and you'll find a party on the inside in the form of graffitied booths and old school photos. 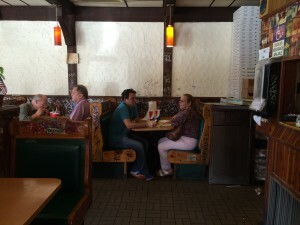 Their Sicilian pizza rocks. Try it. From the outside, Steve’s Pizza (12101 Biscayne Blvd) doesn’t look like anything special. It’s a non-descript standalone structure along North Miami’s mostly commercial Biscayne Boulevard. But step inside and it’s a different story. This place has character! Old school photos adorn the walls and graffitied benches and booths look like they’ve been there for decades. 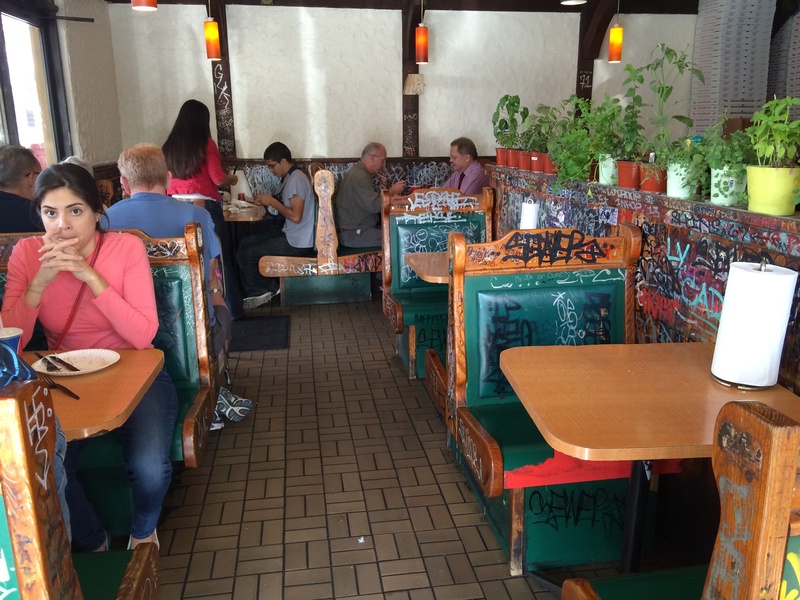 Of course, this being Miami, there is seating outside too. 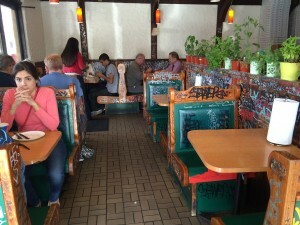 On a Monday afternoon of a holiday weekend when I visited, there was a line of 15 people waiting to order lunch. 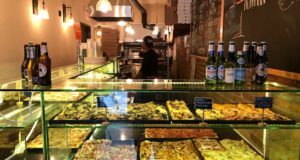 You place your order at the counter and if you want slices ($2.75) it takes just a few minutes. A fresh pie could be 20-30 minutes, as was mine. 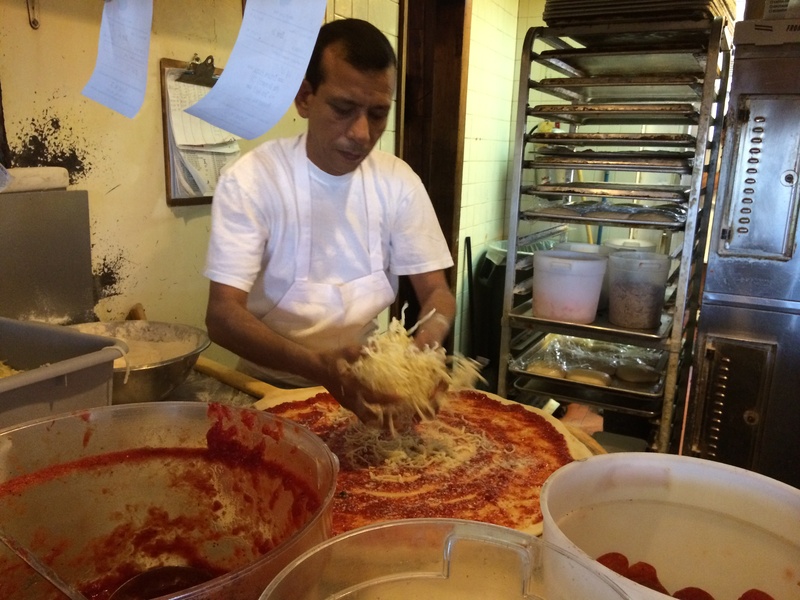 It was interesting watching the two “pizzaioli” at work. 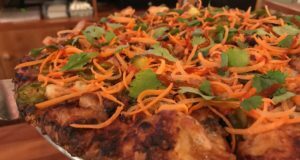 All of the slices are served from pre-made pies. 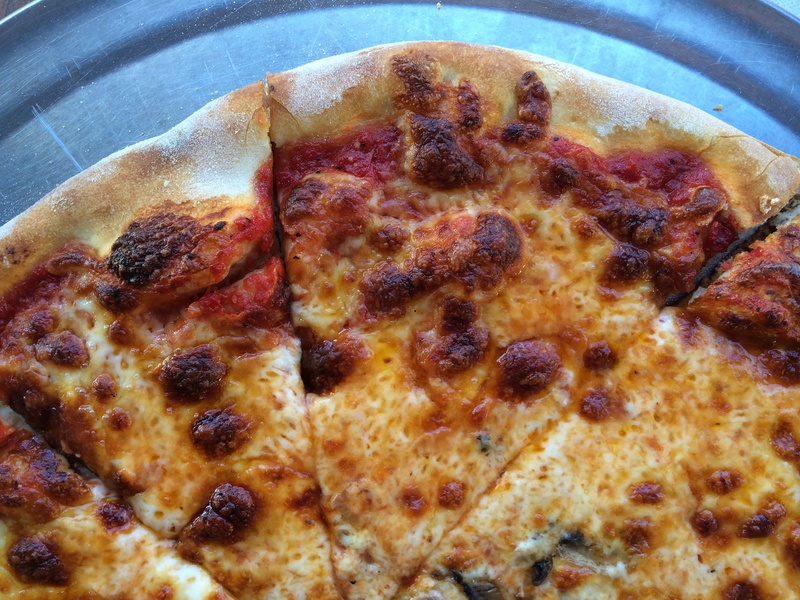 If there are toppings ordered, they’re simply placed on the slice and reheated in the oven for a few minutes. If you’re there with a group and can manage the wait, a fresh pie is the way to go. In fact you don’t even need a group. You can order a fresh small pie for just $10.75. Or for a dollar more you can order a medium pie. Or for a dollar more you can order a large pie. But wait… the fun doesn’t stop there. Throw down another $2.50 and you can enjoy Steve’s Famous XL pie. My family of four went with a large pie and it was enough to fill four moderately hungry people. But before I get to the pie we ordered, it’s worth noting that during the 20-ish minute wait for our fresh pizza, we ordered a Sicilian slice to try. And it was delicious. 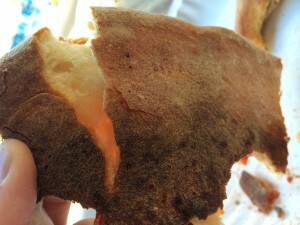 Super cheesy and chewy, it was incredibly easy to eat and surprisingly tasty. 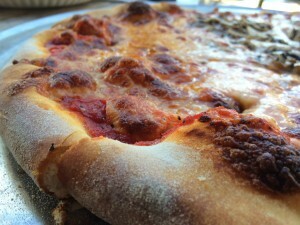 Sicilian pies are not my favorite style, but this hit the spot. It’s $2.85 for a slice and $15.25 for a pie (the same as the XL regular pie). 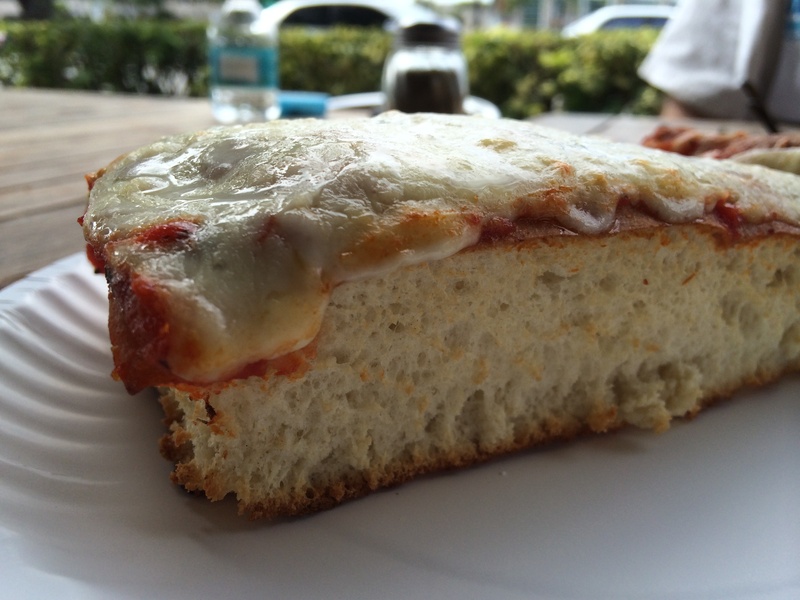 Regardless of what you order, it’s worth at least trying a slice of this. 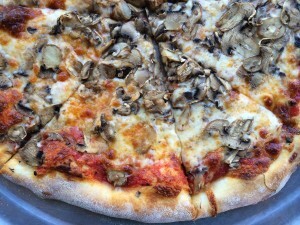 Our regular pie we got with half mushrooms. I liked it although the crust was cooked a little more than I would have liked. It crunched and cracked as I bit into it, ultimately falling apart. It was as if the crust got burnt and the middle part of the slice was somehow a bit under-cooked — it had the chewiness of the Sicilian slice. 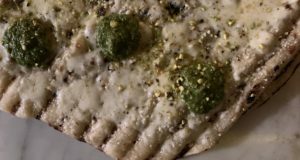 Given this, I still enjoyed the pizza. It was flavorful and fresh. 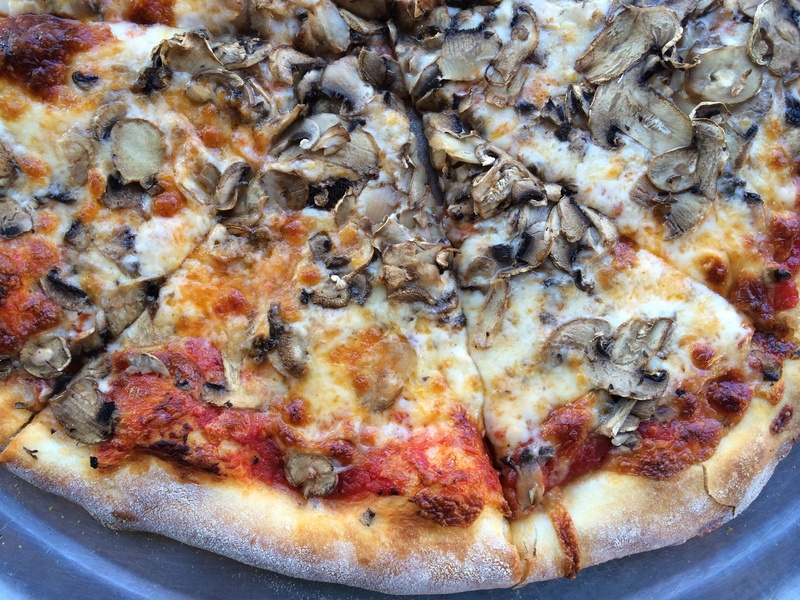 The mushrooms were cooked well and sauce to cheese ratio was close to perfect. 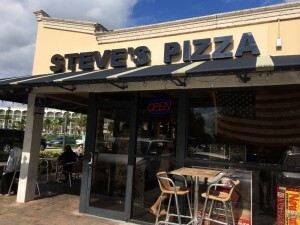 I enjoyed my overall experience at Steve’s. The place has character. 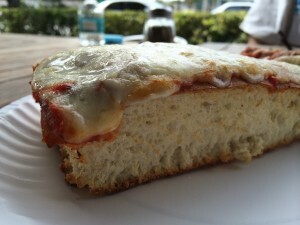 And there aren’t a whole lot of great pizza spots in the Miami area, so a trip here is a must if you are living or visiting there and craving some pizza. Perhaps I was a little underwhelmed by the pie I ordered after the delicious Sicilian slice that kicked off my meal. 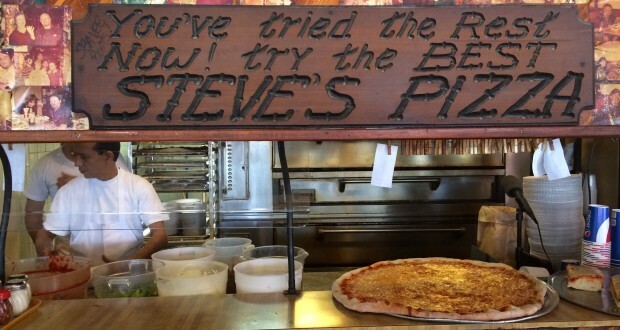 But you should pay Steve’s a visit and decide for yourself which slices reigns supreme.